Men’s rights was delivered a victory by the Tennessee Supreme Court in a case that could determine the future of how alimony is awarded in that state. In a unanimous decision, the state’s highest court ruled the award of lifetime alimony and attorney fees to a man’s ex-wife were inappropriate because the wife was healthy, held a stable well-paying job and received considerable assets through the division of marital property. This alimony case involved a wife, Johanna Gonsewski, who claimed she deserved $15,000 a year in alimony despite the fact she earns $72,000 a year. Her initial request for alimony was denied because of her income and earning potential, but upon appeal, a Court of Appeals found that the mother did deserve that much money from her ex-husband. The ex-husband, Craig Gonsewski, appealed the appellate court’s decision, and the state Supreme Court agreed with him. Click the link to read the Tennessee Supreme Court’s full opinion on alimony laws. 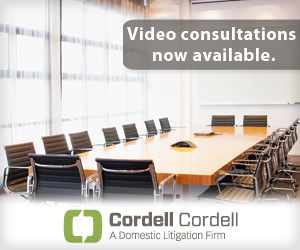 If you are looking for an alimony modification, then schedule an appointment with the divorce lawyers for men at Cordell and Cordell Family Law. Additional divorce resources are available at DadsDivorce.com.